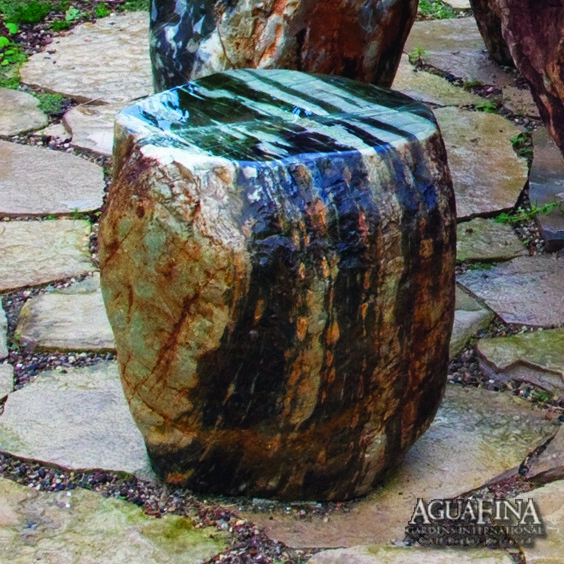 Create a comfortable place to sit & admire the beauty of your Asian influenced garden with these natural stone stools. Each one has been carefully contoured to retain a natural shape, The top is completely polished to a smooth finish while the sides are left untouched to preserve the beauty of the natural stone. Polished stone colors range from black/gray to gray/lavender to green.